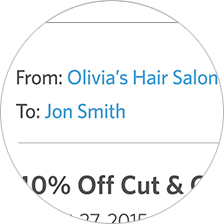 Use email to increase appointments, product purchases and referrals. 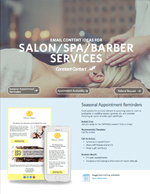 Here you‘ll find content ideas, examples, tips and success stories from salon and spa businesses like yours to show you how. 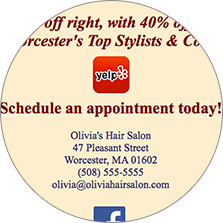 Share new and popular services and products and their benefits to encourage clients to book an appointment. 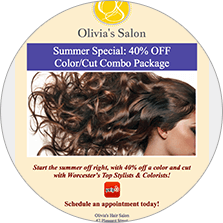 Send along seasonal styling tips, specials, and trends to inspire clients to change things up. 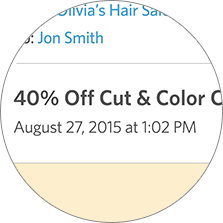 Announce a health and beauty workshop to get clients in and drive product sales. 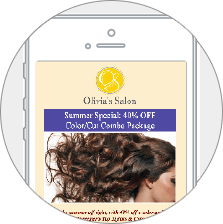 Promote limited time deals on products and services when clients provide a referral. 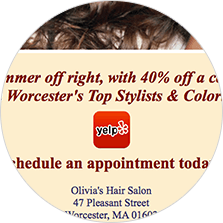 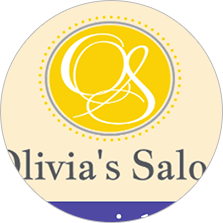 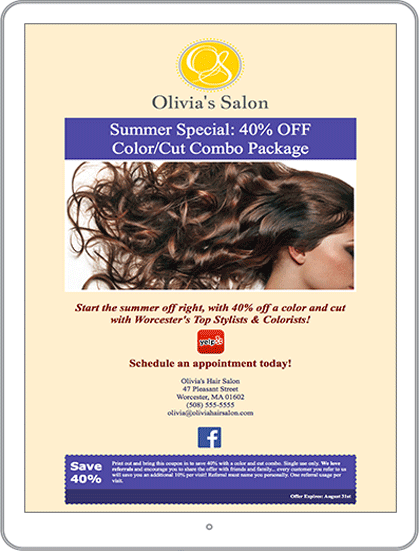 Share before and after photos of client hair, nails, and makeup at the salon/spa, weddings, proms, or other events.